Fourth Of July is next Wednesday so be prepared for a busy week ahead. Our annual 4th Of July parade is Saturday the 7th . They will be closing Highway 4 from 9:00am till the parade is over. Make your plans accordingly. Saturday July 7th is FREE FISHING in California. No fishing license required to fish that day only. All Fish and Wildlife laws still apply. All campgrounds are open including Highland Lakes.. All Forestry campsites are first come first serve. Make your plans accordingly. 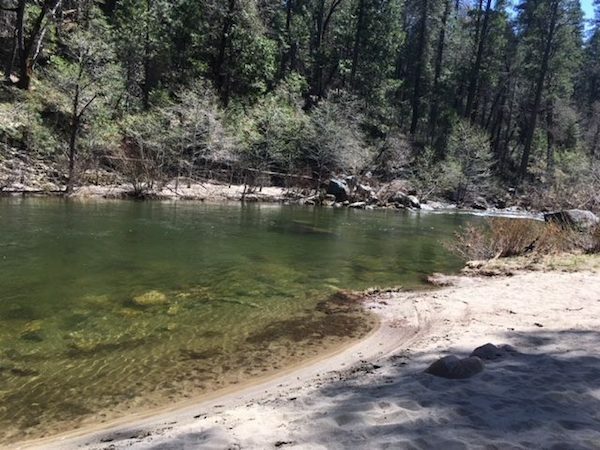 You can reserve a campsite in Big Trees State Park. Please bring your own water. You must have a fire permit to burn your campfire. They are available at any of the USFS stations. The Hathaway Pines Station is open Monday thru Friday 8 to 5, and Saturday 8 to 2. You can contact them at 209-795-1381. Lake Alpine Ranger Station is open Thursday thru Monday. The phone number for Lake Alpine Ranger Station is 209-753-2811. Please be extra careful with your fires as we are coming into our FIRE SEASON. WARNING EXTREME FIRE CONDITONS. Ebbetts Pass is now open to Markleeville. The East Fork Of The Carson has been excellent fishing due to recent trout plants, with quite a few fish in the three to four pound range. You can check the flows of our rivers by going to dreamflows.com. White Pines Lake and Angels Creek is due to be planted the week of 6/24/2018. Unfortunately a flash flood destroyed the Moccasin Hatchery. 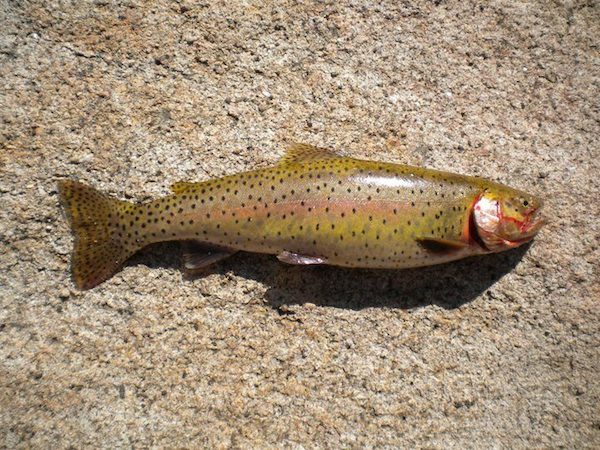 I have been in touch with the Fish and Wildlife Department and was told that we would be receiving our fish this year from the American River Hatchery and The San Joaquin Hatchery near Fresno. I have been told that we will be receiving a increase in our plants but not as frequent due to logistics. Feel free to contact our DFW representative, Ben Ewing. His contact number is 1-530-906-3934. Lake Alpine has been kicking out some beautiful trout due to a recent trout plant this past week. The road to Spicer is now open but be advised that the washouts were filled with road base. The USFS still warns to be very cautious while traveling this section of road between Highway 4 and Spicer. A permanent fix is due to be completed by mid July. I will keep everyone updated as to their progress and availability. WARNING!! HOBART CREEK IS CLOSED TO FISHING UNTIL JULY 1st. Plan to purchase your fishing license ahead of time. We are the only retailer on the Highway 4 corridor that sell them and never know when our machine could go down. Stop by Ebbetts Pass Sporting Goods for all of your outdoor and fishing needs. Let Ebbetts Pass Sporting Goods be your one stop shop for everything from camping, freshwater fishing, and fly fishing. We carry a broad line of fly fishing products including rods, reels, and waders from Redington, St. Croix rods, extensive fly assortment, and everything you need for your trout fishing experience. We now carry Fishpond, Umpqua, Outcast Boats, and Buff UV multifunctional headwear for protection against damage from extended sun exposure. We also stock a wide range of Footwear, along with our new footwear, Cobian Footwear and Northside. We also stock Suncloud Polarized Sunglasses, along with a wide array of various brand sunglasses. Check out our huge selection of Berkley Power Bait and a wide selection of trout and bass lures for example Pnther Martin spinners, Kastmasters, Yamamoto Senko, Daiwa Baits, River2Sea Whopper Ploppers and S Waver, Zoom, Lunkerhunt, and Zoom Baits. We carry Daiwa rods and reels, and Dobyns Rods along with other major brands.